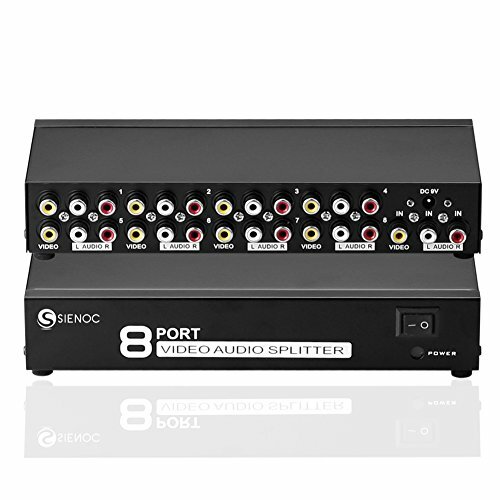 Overview: This is 8 Port Video Audio AV 3RCA Splitter, it used for HDTV DVD. It enables 8 AV output devices to share 1 AV input. It can be used in your home, office, restaurant, shopping plaza, hotel, factory, etc, to show the one AV input on 8 different AV output devices like TV or other devices with standard AV (Yellow-Red-White) connector.